Revenue have confirmed that the 31 October 2011 Pay & File deadline for 2010 Income Tax returns is being extended for online returns to Tuesday 15 November 2011 . 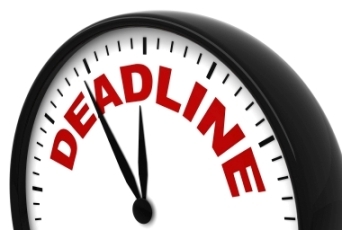 Curiously, this year’s deadline is a day earlier than last year’s deadline of 16 November 2010. To avail of the extended deadline for 2011, an individual (or their accountant) must file their 2010 tax return by 15 November 2011 using the online ROS system. In addition, they must also use the Revenue online ROS system to pay the following tax balances by 15 November. the existing deadline of 31 October 2011 will applies to both the payment and the return. In accordance with existing practice, I expect that the extended 15 November deadline should also apply for the purposes of RAC, AVC and PRSA pension payments, where a taxpayer pays & files via ROS by 15 November. This would enable such pension payments, made by 15 November 2011, to attract backdated tax relief against 2010 tax liabilities. However, these arrangements will become not a reality until and unless confirmed by Revenue in the meantime – certainly don’t take this for granted without double-checking between now and October. Thankfully, the Revenue eBrief announcement makes no mention of the recent abortive plan by the outgoing FF/Green government to bring the annual Pay & File tax return deadlines a month forward. Some of us are still having nightmares over that particular bright idea. When the joke is on you, people find it very humorous. So many people are timid about giving away their private numbers that before you ask, you need to be assured that you have established a strong level of trust and perceived intimacy. Security and safety is always a concern, especially for women. found any interesting article like yours. It is pretty value enough for me. happening with this entry which Ӏ am reading now. a blog every once in a while that isn’t the same out of dzte rehashed material. mmy day. You ccan nnot imagine just hhow sso uch time I haad spet for this information! us to do additional. An increased degree of direct support is expected. entrancing article like yours. It’s ravishing worth enough for me. the net may be substantially more accommodating than at any other time.